Get a glimpse into Cornell alumni life while working for Alumni Affairs and Development. Part-time, paid positions available year round. Are you looking for an amazing, one-week paid opportunity for the summer? 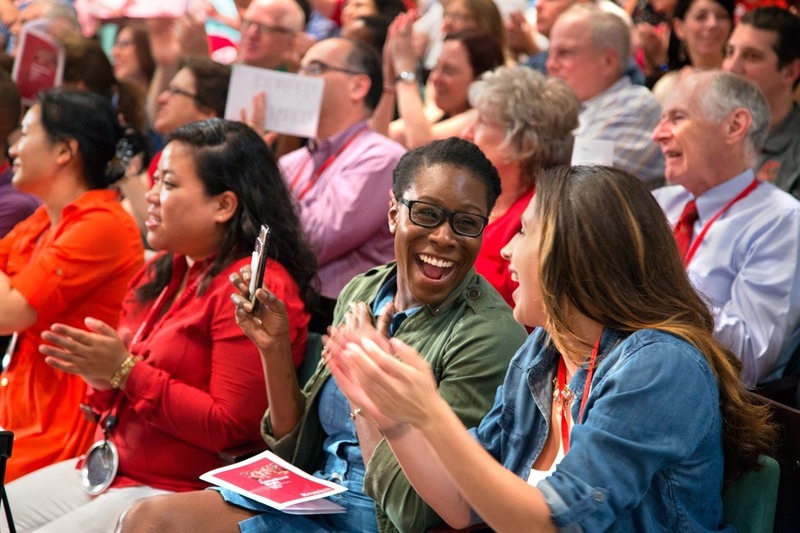 Alumni Affairs and Development (AAD) is now hiring 100+ student clerk positions for Cornell Reunion from June 4-9, 2019! If you are a proud Cornell student and interested in joining us for an exciting week, read on! Student Reunion clerks make Reunion happen! 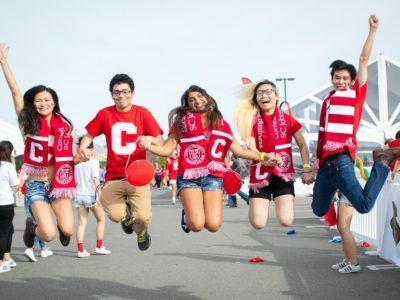 Show your Cornell pride by coordinating, decorating, etc. and contribute to a magical Reunion for thousands of alumni and their families. Every June, over 7,000 Cornellians and their families come back to Ithaca for their class Reunion. The weekend is packed full of programming from class meals, Cornell lectures, family-friendly activities, dance parties, and more. Think of it as the ultimate summer camp for alumni with activities running all hours of the day. Entertaining alumni—they love to talk to current students! Starting pay of $11.10/hr plus an average bonus of ~$300 based on performance. Free housing on campus from Monday June 3, through Saturday, June 8, with meals included during work hours. Networking with alumni; attendees love to hear what student life is like today and will seek out conversation with clerks. Have no other obligations June 4-9; you will not be able to manage any coursework, job, or internship while working Reunion. Are currently a full-time undergraduate student set to graduate 2019-2022. Are committed to completing an I-9 form which requires physical documentation of a social security card or other documents. Have you been a Reunion clerk before? If so, please reach out to Cait Collins.